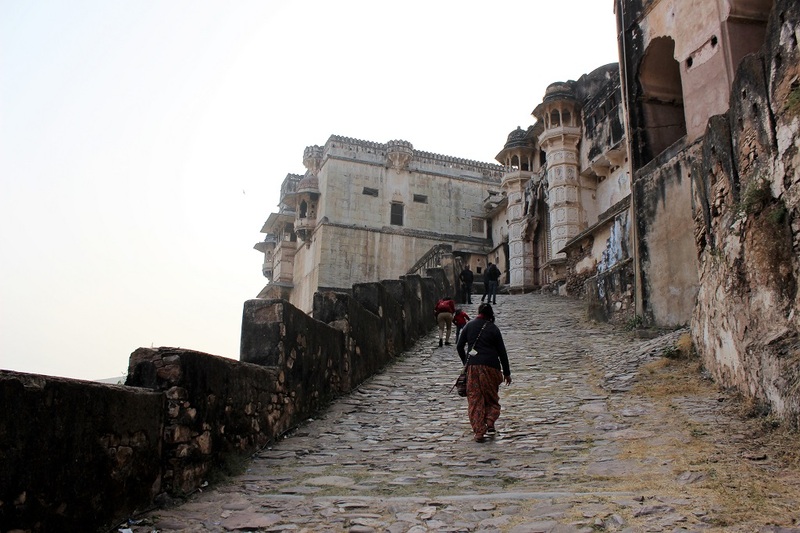 Bundi – A Hidden Gem in the Aravallis - Ghumakkar - Inspiring travel experiences. 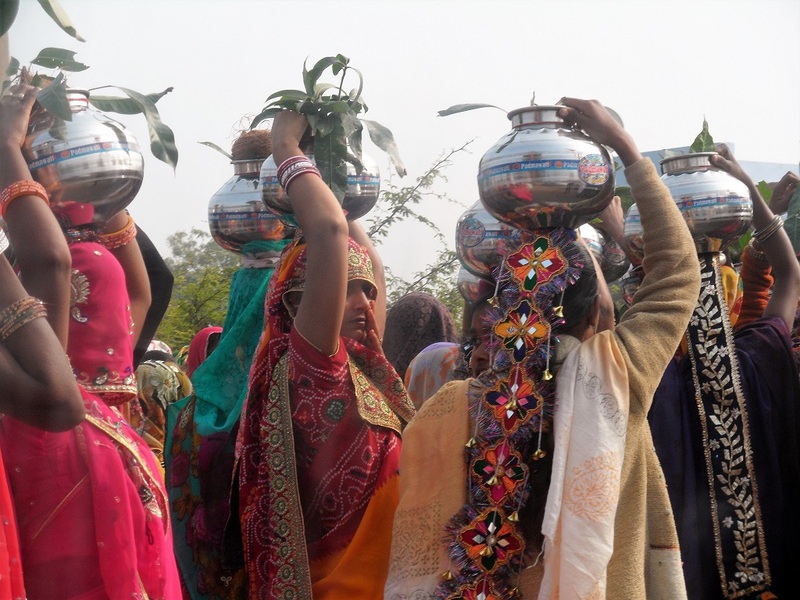 The best time to visit Rajasthan is during Christmas. No blazing sun, no discomfort, hence it is the right time to plan a trip there. Rajasthan had been there in our bucket list for a long time, so this time we thought of giving it a shot. First, we boarded a flight to Jaipur and stationed there for a night. Ours was a backpacking journey so the list of names of the places was very big. 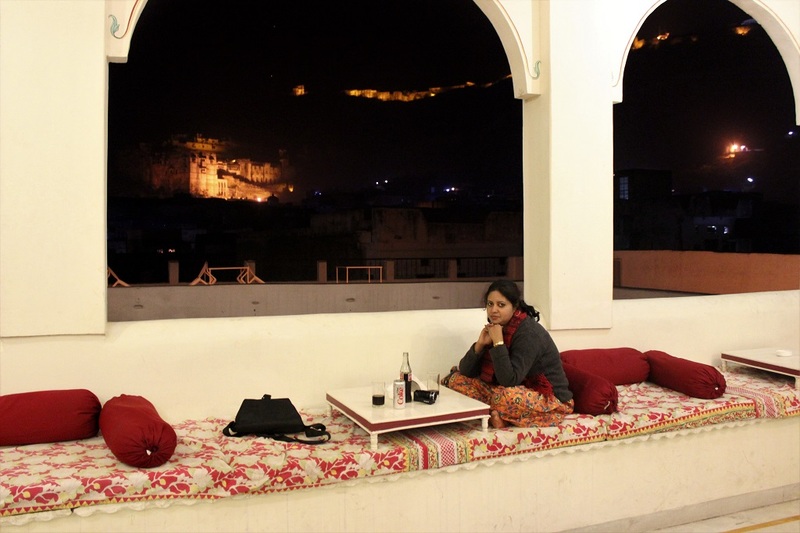 Here, I am going to narrate my experience of staying at Bundi for a night. 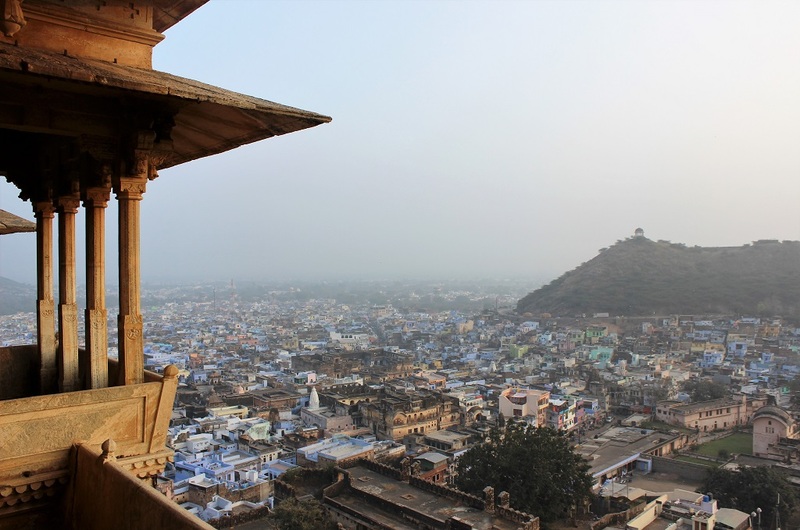 The town of Bundi is situated in the Hadoti region of Rajasthan, this place is less explored by the Indian tourists but we had the opportunity to be there and learn about the place and of its rich history. 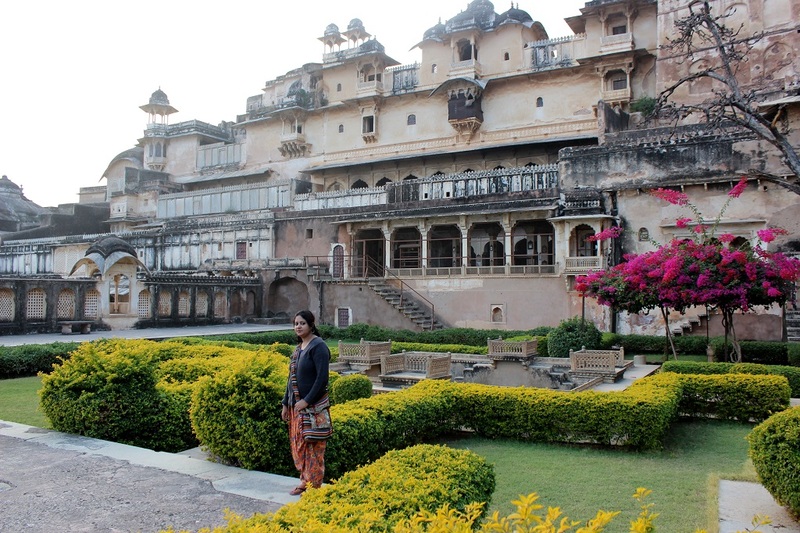 After leaving Jaipur, my husband and I enjoyed an evening safari at Ranthambore and the next day we headed to Bundi. The journey has taken us almost three and a half hours by car. 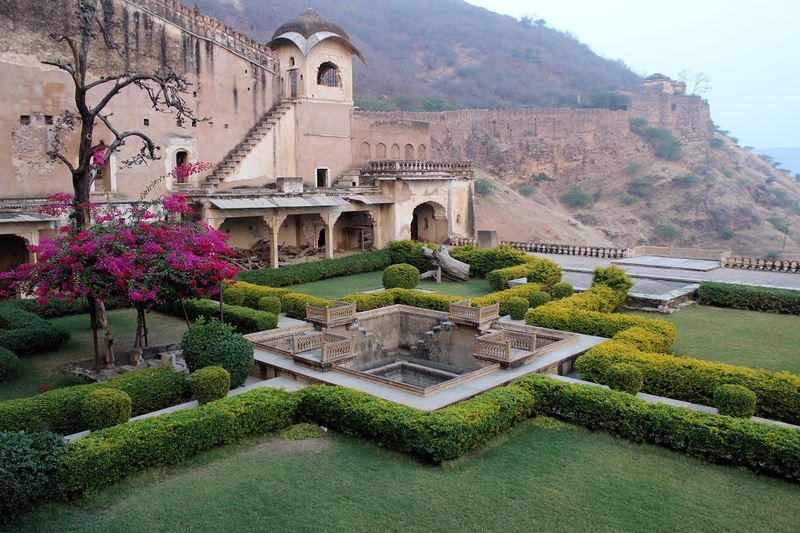 Bundi is strategically located between Kota and Jaipur. The road ran through many small villages and the sight of the beautiful mud houses and the grazing cattle was quite captivating. The lanes and the by lanes were astir with people going about their daily chores. On the whole, the rustic picture was quite a treat for the eyes. Leaving the villages behind we arrived at the town of Bundi. We had a prior booking at one of the havelis located on the Purani Kothwali road; so, it was a hassle free check-in for us. 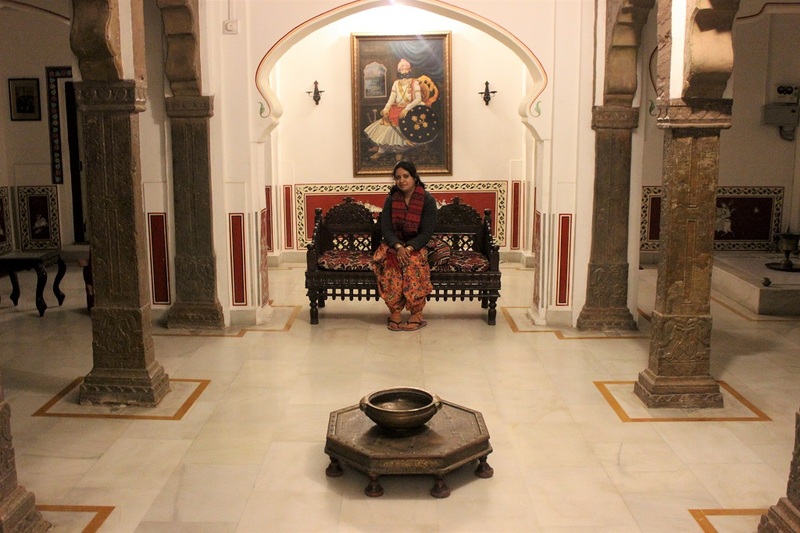 The haveli itself looked like a miniature palace and I felt so royal in it. 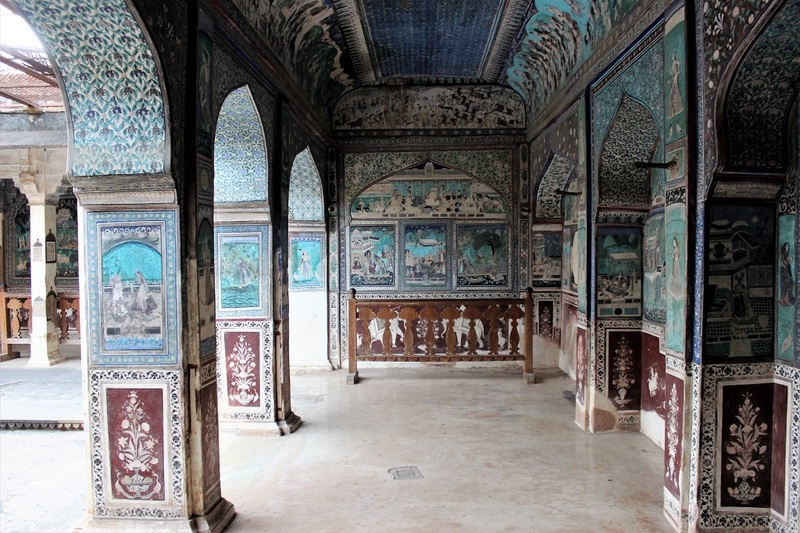 It consisted of a courtyard and a corridor with well-embellished rooms for the guests. Dropping our luggage in the room we went out to explore the town. The entire place is encircled by the Aravalli range. The sun was still up and we had around three hours to make it before dark. 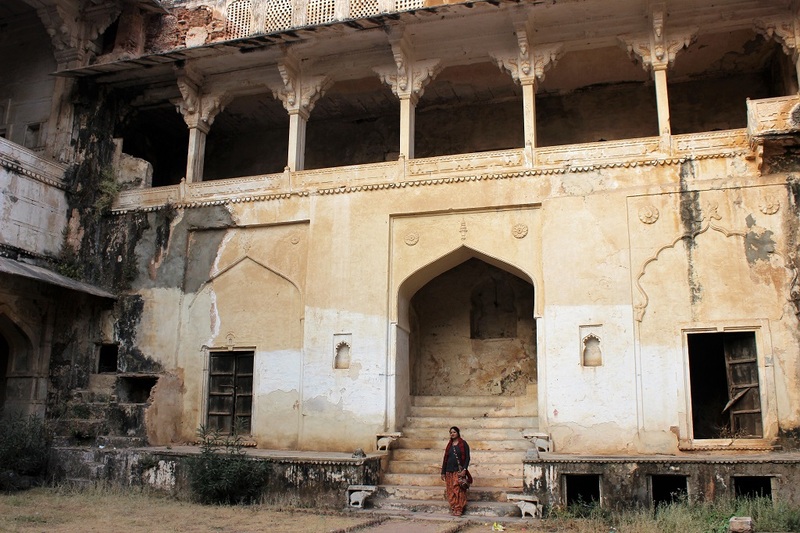 The two sought-after places to visit there are the Bundi palace and the Taragarh fort; we had time for only one, so opted for the Bundi palace. While sauntering through every nook and cranny of the nearby places I was reminded of Satyajit Ray’s ‘Fritz’. 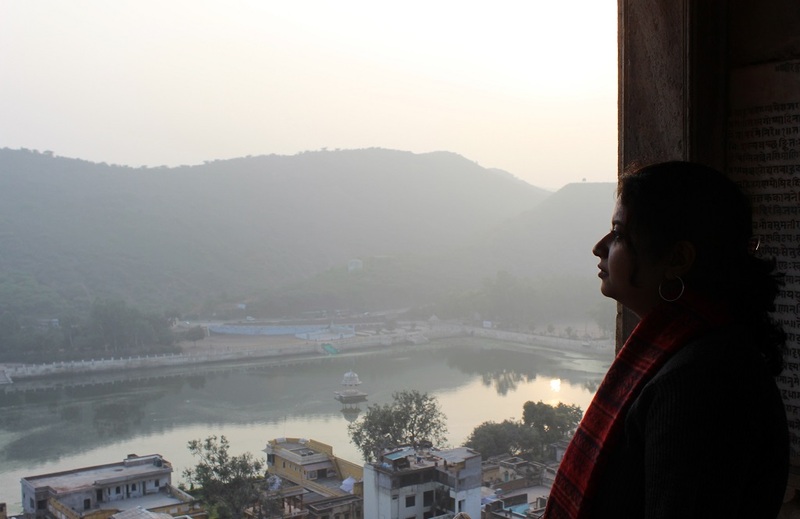 The story was set in Bundi and it was quite exciting for me to be there and live it all. After some time I came across the colossal Bundi palace gate. As we entered I could see the mansion partly in a state of dilapidation. Grasses had grown tall, figs and ferns had outgrown the terraces and windows. The whole place had a very eerie feel about it. But as we ventured into the courtyard I got a clearer view of the entire place and was taken aback by its charm and beauty. The long corridors ran from one end to the other. The silence of the place was suddenly broken by the footsteps of a little boy darting out from one of the dark rooms. On asking he said that he and his companions come there very often to play; leaving him behind I started exploring the palace. The entire palace was covered with rich murals and paintings that depicted the lives of the kings and queens; some murals bore the testimony of the life around the kingdom and the rustic thoroughfares. I was absolutely mesmerised by the art form. The Bundi style of mural painting had originated in the Taragarh Fort, subsequently, it spread throughout Bundi. As time was not on our side we had to make a hurry. The sun was still peeking out from the horizon. As we climbed up the stone steps we got a bird’s eye view of the town below; we also got a splendid view of the Nawal Sagar lake from the top. Here we came across a guide and a few other tourists. The guide regaled us with some wonderful stories and showed us a few more quarters of the palace. The rooms where the queens stayed have no windows, so I had to pluck up a lot of courage to enter that dark ‘ kuthris’. The overall experience was very exciting and obviously spine-chilling. As it was getting dark we thought of going back to our haveli. We thanked the guide and scrambled down a long winding path that led us back to the town. Back in town, the shops were lit up, some young ruffians were scooting past on their bikes. My eyes fell on a group of lads hauling their kites down and disappearing in the dark gullies. A lot of furore and buzz was going around, but as soon as we entered our haveli, I felt very calm and peaceful. The haveli was wonderfully lit up, the iridescent lights and the shimmering chandeliers gave the entire place a feel of opulence and royalty. 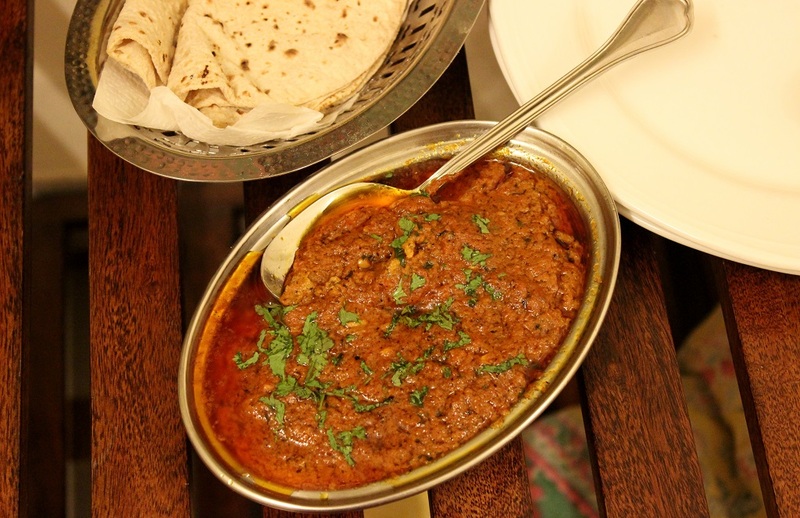 Earlier the owner had told us to try out a dish popularly known as ‘lalmaas’, it is made of goat meat and spiced up with a lot of masalas and chillis, so we ordered a plate of the same with some rotis. The meat was succulent and I loved the rotis as they melted in the mouth. 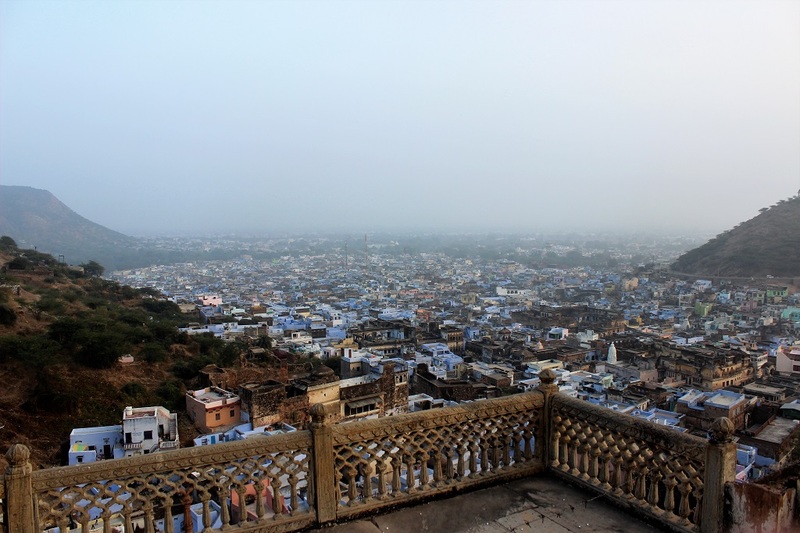 As we sat gorging on the dish, I could see the Taragarh fort right from the rooftop restaurant. It was a wonderful feeling to behold its beauty at night. It was almost 10’o clock and I had a train to catch the next day. I was so tired that I slept like a log. Next morning, I had woken up very early and reached the Bundi station on time. 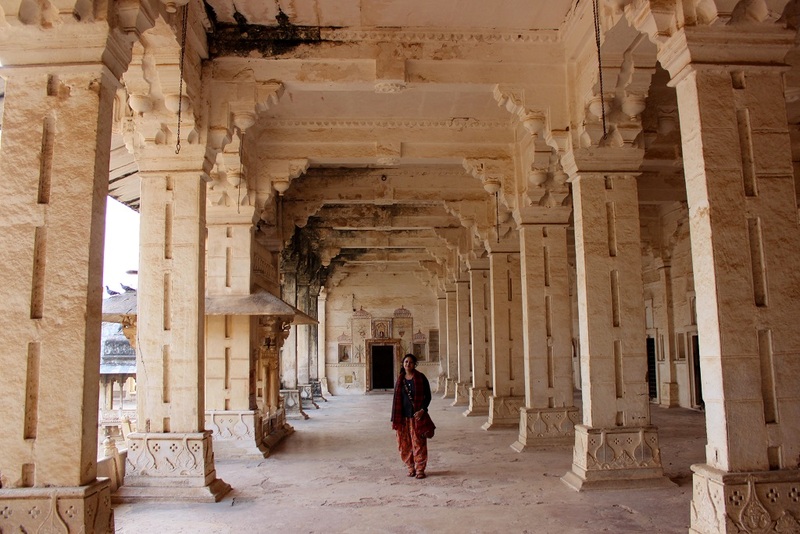 Our next destination was Chittor and I was eagerly looking forward to it. 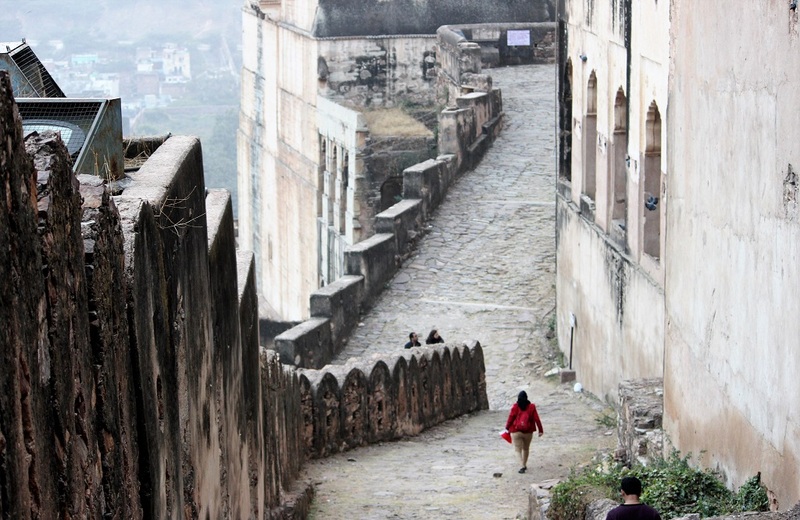 We stayed only for a night at Bundi but the overall experience was amazing. Very thrilling & exciting narrative. All the photographs are gems. I long to visit Bundi one day as I am mostly a hill & mountain traveler planning a trip to Ramgarh & Mukteshwar in the Kumaon Hills during Dushera holidays. Thanks a lot for appreciating my narrative.I am happy to know that you have liked the pictures too.Do visit Bundi soon, I bet you would love the place.Wish you a very happy journey to the Kumaon hills. Thank you very much for liking my story. Thank you very much. Will definitely write about my experience of Chittor shortly.